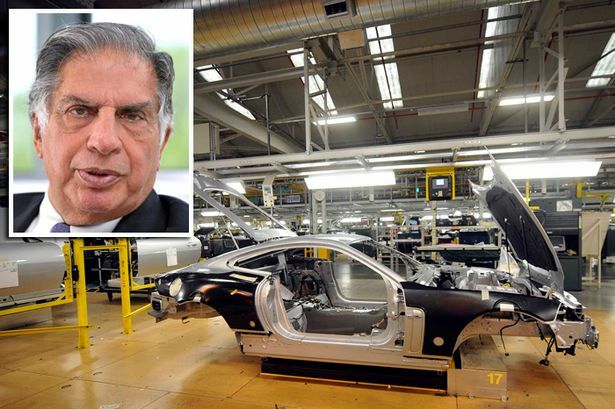 Britain is not offering enough incentives to encourage Jaguar Land Rover to invest further in a UK factory, says Indian industrial supremo Ratan Tata. The man widely recognised for rescuing the Midlands’ biggest manufacturer from the abyss in the depths of recession has fuelled fears that the UK could lose out to Europe or the States in the vehicle maker’s future production plans. The figurehead of the vast Indian conglomerate, who is now chairman emeritus of Tata Group, told the Post that the UK was trailing other countries in attracting factory investment. His comments come a month after the Post revealed that JLR was looking to potential sites in Austria or Turkey for future factory development rather than the United States or the UK. Mr Tata, who was chairman of Tata for 21 years from 1991 to 2012, told the Post at the launch of the £150 million National Automotive Centre at the University of Warwick: “There are various states in the US and countries in Eastern Europe which provide incentives. The Tata figurehead predicted that the luxury vehicle-maker had a ‘bright’ future – and said he shared his friend Lord Kumar Bhattacharyya’s vision of one million annual sales within a decade. The 74-year-old said he had been persuaded to buy Jaguar Land Rover in the summer of 2008 after being given a tour of small firms in the Coventry area by well-known Midland peer Lord Bhattacharyya. He said JLR was already running three shifts at Halewood and Solihull, leaving them unable to increase capacity at the plants. The foundation stone ceremony marked the formal launch of the construction phase for the £150 million project, creating a new cutting-edge UK automotive technology, innovation and education centre. The 33,000 square metre facility is due to open in spring 2017 and will become the hub for JLR’s advanced research. It will house 1,000 people, including engineers, researchers and technologists. The development of the new NAIC facility will complement JLR’s product research and development centres in Gaydon and Whitby.